“When women participate in the economy, everyone benefits,” the famous quote of Hillary Clinton was stated to open the Women’s Day celebration ceremony held at Institute of Chartered Accountants of Pakistan (ICAP) on Friday. 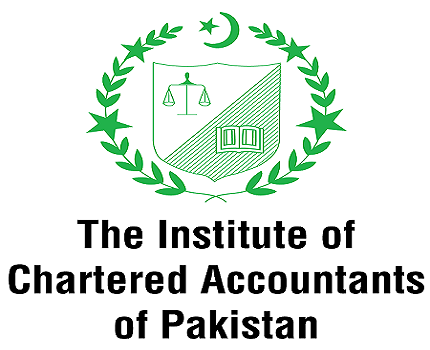 The event, organised by ICAP’s newly formed Women Chartered Accountants Committee (CAWC) was attended by notable personalities from the field of finance, banking, academia, business and accountancy. Former governor of Central Bank of Pakistan Dr Shamshad Akhtar was the chief guest for the event held at ICAP auditorium. In the opening remarks, Khurshid Kotwal—a key member of CAWC—emphasised on the need of bold steps that should be taken to increase women participation in the economy. In accordance with the theme of the programme, “Be Bold for the Change”, Kotwal’s address provided an insight to the audience about her own professional experience and the strong measures she took to make her standing in the field. After the opening address, ICAP Chairman Nadeem Yousuf Adil gave a detailed address on the situation of female chartered accountants in the country and women inclusion in the workforce. Although the total female chartered accountants count is 500—a very minute portion of the total 7,500 registered members—Adil stated that the depth of the problem is far greater than having fewer certified female accountants. The chairman, in his address, focused on the issue of gender inequality in primary level education, which, even today, remains a major hurdle in women’s participation in the workforce. Extending ICAP’s chairman’s address, the chief guest UN Executive Secretary for the Economic and Social Commission for Asia and the Pacific Dr Shamshad Akhtar stated that women in South Asia work equivalent to six hours of unpaid labour every day; thus, they remain non-beneficial for the economy. “It is important to highlight that failure in achieving gender equality affects sustainable development goals,” said Akhtar on the importance of gender equality and UN’s priority in this regard. She added that poverty, lack of education, higher female mortality rate and vulnerability of ecosystem remain to be the major driving force behind the challenges faced by women globally, and if women are provided equality in health and education, greater agenda of stability can be achieved. Dr Akhtar also shed light on the positive steps that have been taken to achieve gender disparity in primary education and acknowledged that some progress has been made in this regard.